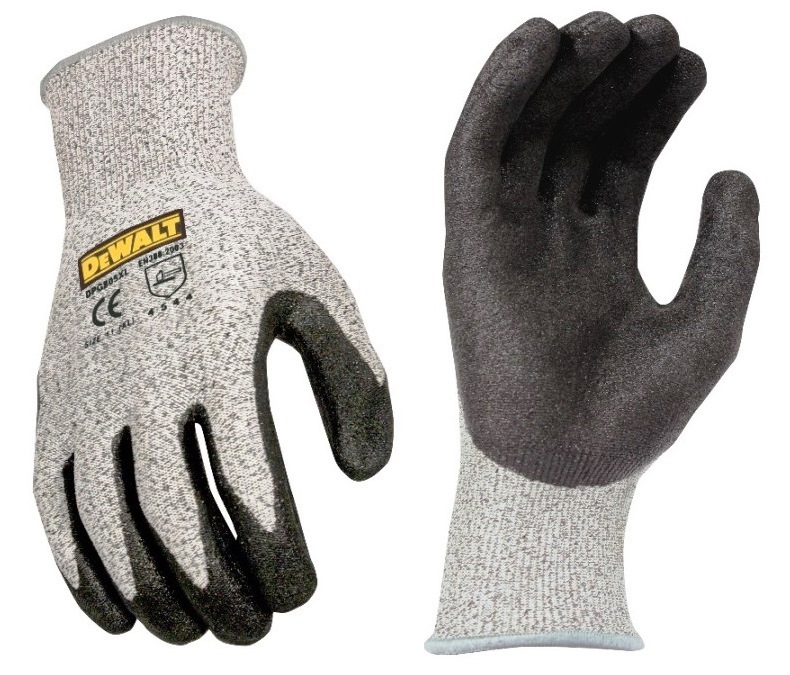 DeWalt DPG805 Gloves Cut Protection with TekShell HPPE Fiber (high performance polyethylene) is one of the strongest and most advanced cut resistant fibers. TekShell HPPE yarn is extremely tactile and flexible. 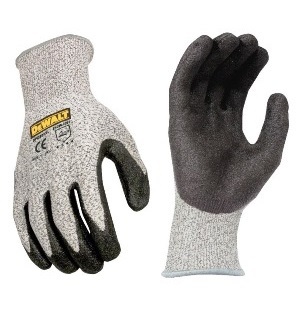 These gloves have a synthetic rubber palm dip that has high resistance to oils, gas and some chemicals. It is abrasion, heat and tensile resistant. The Anti-Bac Antimicrobial Coating eliminates the growth of ATCC 6538 and ATCC 4352 bacterial, while effectively killing odors. Designed primarily for-metal/glass handling, petrochemical, HVAC and automotive work. Available sizes are medium, large and x-large.